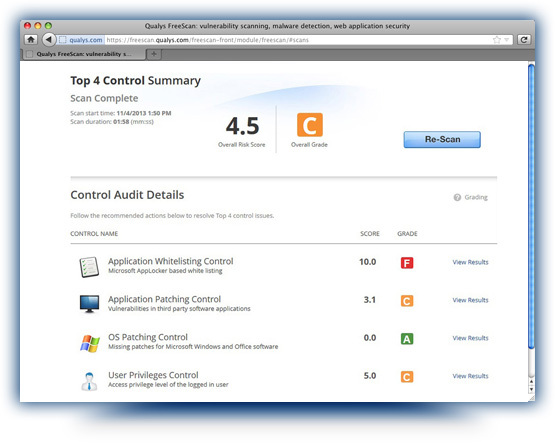 Top 4 Security Controls | Qualys, Inc.
Do your PCs make the grade? Verify in seconds whether your Windows PCs are implementing the Top 4 security controls. Sign up for your free account and see if your PCs make the grade.